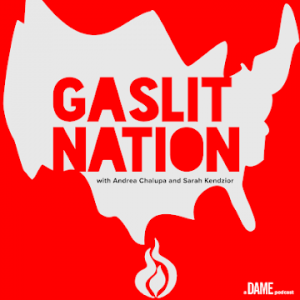 DAME has launched its very first podcast: Gaslit Nation. 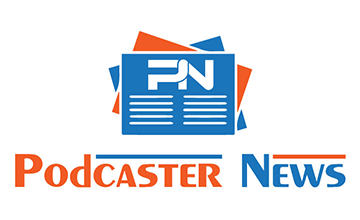 It is a bi-monthly news podcast that slows down and explains the chaotic news cycle. 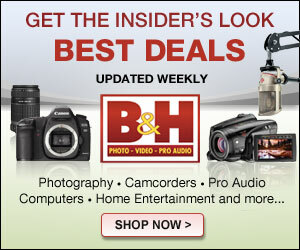 You can subscribe on the DAME website. Gaslit Nation is also available on Spotify, Stitcher, and Google Play. With a focus on the intersection of foreign and domestic affairs, including foreign policy, election security, technology, economic development and innovation, education, sustainability and resiliency, public safety and justice, opportunity and equality, Gaslit Nation goes beyond the outrage headlines and hot takes, delving deeper into analysis, history, and context. Gaslit Nation is hosted by Andrea Chalupa and Sarah Kendzior. Andrea Chalupa is a journalist and the author of: Orwell and The Refugees: The Untold Story of Animal Farm. She has written for TIME, The Atlantic, The Daily Beast, and Forbes. Sarah Kendzior is best known for her reporting on St. Louis, her coverage of the 2016 election, and her academic research on authoritarian states. She is the author of The View from Flyover Country, a regular commentator on MSNBC, and an op-ed columnist for The Globe and Mail. This season of Gaslit Nation will explore the domestic conditions that gave rise to Trump’s presidency. The hosts will discuss the crisis of income equality that has created distrust of public officials and the media, the decline of voting rights and election security, the epidemic of fake news and far-right propaganda coming out of Russia and the U.S., and much more.